Editor’s Note: “We never armed Saddam,” explains former Reagan top official, William P. Clark. 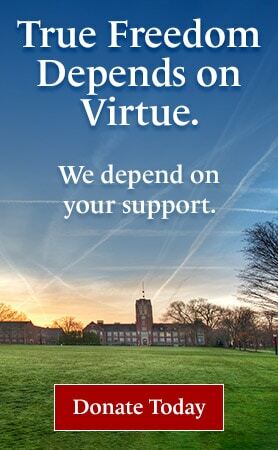 “And to my knowledge, we certainly did not give him anything like WMD technology, or assist him in developing WMD.” The “V&V Q&A” is an e-publication and a regular feature from the Center for Vision & Values at Grove City College. 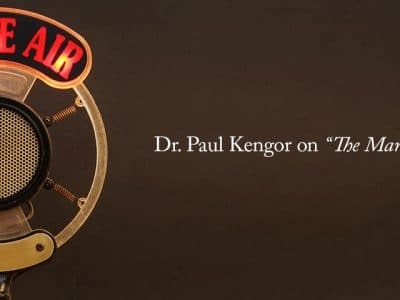 In this latest edition, the Center interviews its own executive director, Dr. Paul Kengor, on his new book,“The Judge: William P. Clark, Ronald Reagan’s Top Hand” (Ignatius Press, 2007), theuntold story of Ronald Reagan’s closest friend, confidant, and most influential adviser. Bill Clark is widely regarded as the insider who more than any other adviser helped President Reagan win the Cold War. This is the first of a two-part interview. Join us tomorrow for Part II. 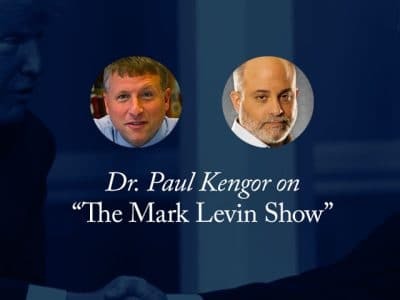 V&V: Dr. Kengor, you’ve written, along with co-author Patricia Clark Doerner, a biography of Judge William P. “Bill” Clark. This is the biography of the man that everyone—from Edmund Morris and Lou Cannon to Michael Reagan and Cap Weinberger—agreed was Ronald Reagan’s important adviser, who literally one day in 1985 rode off into the sunset and refused to write his memoirs and tell his story. The publisher is billing this as the untold story of the Cold War. We will get to that, but first it should be noted that there is much more in here about foreign policy generally, and one thing in particular of very strong relevance to the world today. There is a major revelation in the book on Saddam Hussein and Iraq. This month marks separate anniversaries of both the capture and ultimate hanging of Saddam Hussein, in December 2003 and December 2006, respectively. Tell us what Clark told you—which he disclosed for the first time, two full decades after the fact. When we first began doing interviews for this book at Clark’s California ranch, he one day showed me a pistol he received from Saddam Hussein as a gift. Clark and his family were ranchers, sheriffs, and lawmen. They know guns. Saddam knew that and gave him one. But my immediate question to Clark was, “Gee, how and when and where did you meet Saddam Hussein?” Clark never ceased to surprise me with all he did, but this one came out of nowhere. He proceeded to tell me about a two-hour meeting, one-on-one, that he had with Saddam in January 1986. This was a full year after Clark had left the Reagan administration for good. Still, he continued to be Ronald Reagan’s troubleshooter and reliable right-hand man. When Reagan had a sensitive assignment that required an aide of utter, complete trust, he called on Bill Clark, as he had done since his governorship in the 1960s. I explained that there was a kind of left-wing cottage industry dedicated to exposing the alleged Reagan conspiracy to arm Saddam in the 1980s, including to arm him with WMDs [Weapons of Mass Destruction]. This really confused him. He didn’t want to respond to something so baseless, and couldn’t believe anyone would level such a reckless charge. I told him I would demonstrate when we got to his office in town later that afternoon. When we got there, I did a Google search on “Reagan armed Saddam.” Clark was shocked at all the hits. By the way, as I gained access to Clark’s private papers, I came across the minutes and memos from this meeting. Indeed, there was no mention whatsoever of weapons. V&V: So, can you say definitively that we never aided Saddam in the 1980s? Kengor: I want to be careful with this. I’ve learned many times that history is much more complicated than we realize. So many things happen with this massive federal government, and all the people associated with it, that it’s foolish to say “never” to anything. The more you know, the more you learn you don’t know. Neither Clark nor I claim to know everything. That said, to Clark’s knowledge—and keep in mind that Clark is extremely credible, and was closer to Reagan than anyone, especially on foreign policy and national security—we did not arm Saddam, and certainly not with WMD technology. Very importantly, Clark did clarify the nature of our support, which was limited, but which did involve some assistance in the war between Iraq and Iran. Kengor: We provided some quite helpful satellite imagery to Saddam. This was highly detailed photos of Iranian troop movements and tank columns and that kind of thing. Saddam was impressed and deeply grateful for this assistance. V&V: So, in other words, we were trying to help Saddam—or, at least, to help him defeat Iran? We sincerely wanted both sides to stop fighting and for neither to emerge as the dominant power in the region. The worst prospect would have been to have one giant Iraq or one giant Iran in the place of both of them. It was an ugly situation regardless. And many of the critics of the Reagan administration on this issue don’t realize the total lack of attractive options when dealing with nations like these. It is very difficult. People need to try to be understanding of the tremendous challenge of trying to bring good out of evil. V&V: Also, we should recall that Iran was our main enemy at the time—the leading supporter of terrorism. This is the first decade of the Ayatollah’s theocracy. Kengor: Yes, that’s correct. Context is crucial, and our memories are short. But keep in mind that Saddam Hussein, throughout the 1980s, was also doing terrorism—not just terrorizing his own population in his Republic of Fear, but was also exporting terror. He would increase that behavior in the 1990s, to the point that the final Clinton State Department report on terrorism devoted more words to Iraq than any other country, including Iran. The Clinton State Department rightly listed Iraq and Iran as the two leading state sponsors of terrorism throughout the 1990s. And here’s where Clark’s meeting continues to be very relevant today. Clark asked Saddam, on behalf of President Reagan, to “dry up” any support he was providing to Palestinian terror camps inside Iraq, where these killers were training to murder innocent Israelis. Saddam promised Clark he would do so. Clark believes that at the time Saddam might have been sincere, and even left the meeting with the impression that Saddam “wanted to be our friend.” All of this collapsed, however, when Saddam invaded Kuwait and then directed his troops to the border of Saudi Arabia in August 1990. He destroyed the relationship by his aggressive actions. Everything descended down hill quickly after that. V&V: What are some of the other revelations in The Judge that are of contemporary policy relevance? 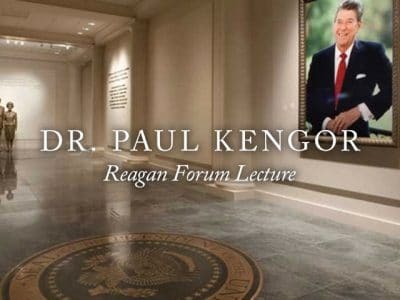 Kengor: Clark spoke for the first time about the French plot to assassinate Moammar Kaddafi in 1981—French intelligence came to Reagan to ask if he would join them—about Reagan warning the Soviets that he would shoot down their MiGs over Nicaragua in the spring of 1982, about the secret mission to Suriname in April 1983, about Clark as Reagan’s liaison to Pope John Paul II’s Vatican in 1982 and 1983, about Clark’s role in urging Iran-Contra pardons in 1987, and how Nancy Reagan stopped the pardons. There is also a great untold story about how we averted disaster by not joining the Chinese in joint construction of the Three Gorges Dam project—that was Clark’s recommendation to Reagan, and Reagan thankfully agreed with Clark. Those are just a few examples. V&V: That brings us closer to the core of the book, which is the Cold War story. Let’s go into that next. 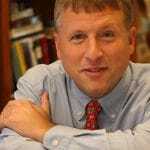 This entry was posted in Military & Foreign Policy, Vision & Values Concise E-publications by Paul G. Kengor. Bookmark the permalink.